Just as the old cobblestone streets of San Telmo were carrying home the last of Saturday night’s revelers, the trucks and carts of vendors started arriving in Plaza Dorrego to set up for their big day. 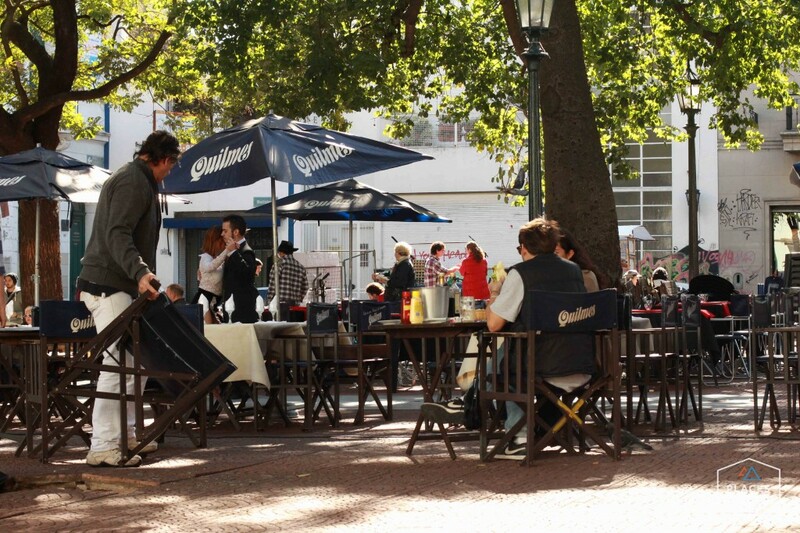 The San Telmo market (Feria de San Telmo) is a popular Sunday market in Buenos Aires. 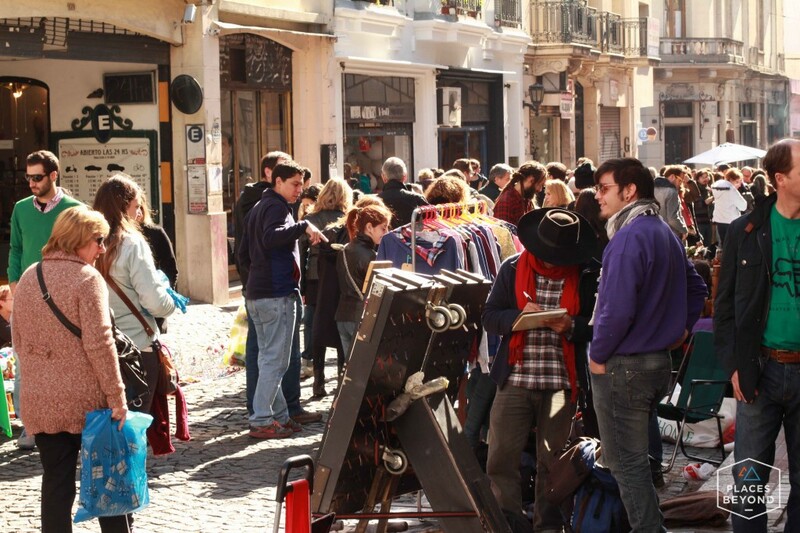 Local artisans, musicians, and anyone with something to sell claim a space along the street. In the main plaza the restaurants are setting out the tables and umbrellas as dancers que the tango soundtrack on the stereo. 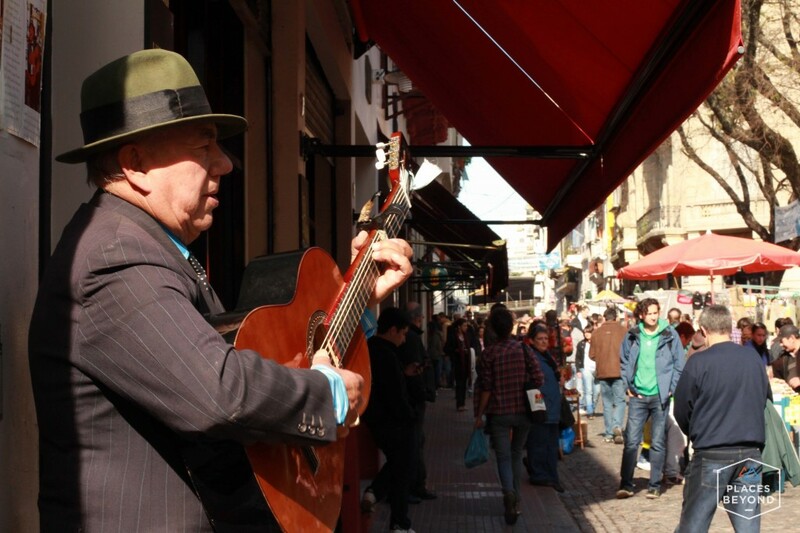 The charm of San Telmo’s architecture, culture and the eclectic mix of vendors brings half the city to this weekly market. Whether or not you’re looking to buy anything, the market itself is something to experience. You can find just about anything if you take the time to walk down each block and peruse each vendors offerings.  From unique handmade goods to priceless antiques and delicious food. The music and dances performed on the streets and in the plaza alone are worth a visit. 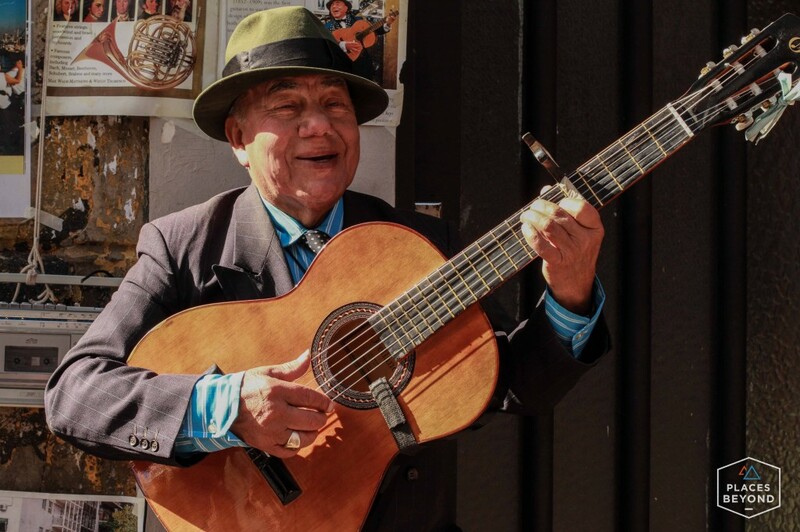 This man has become a staple of the San Telmo market, singing classic Argentine tangos. 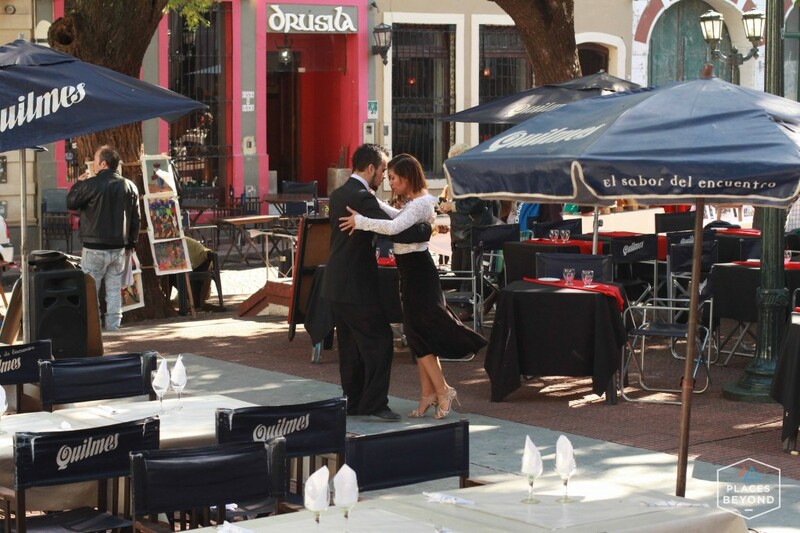 Get a glimpse at a couple dancing the tango in San Telmo in this video. 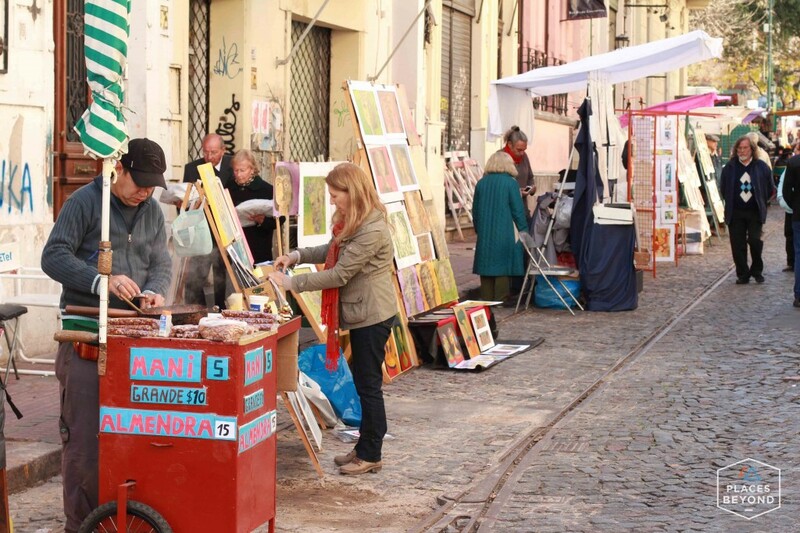 Feria de San Telmo is an excellent way to spend part of a Sunday but if you can only visit one market while there I would suggest making the trip out Feria de Mataderos as it is truly a one of a kind cultural experience.  Makes we want to visit! I love markets.